What it does: Softens skin, reduces inflammation, swelling, and dries out oily skin. You can find it in most supermarkets and pharmacies, and best of all its super cheap. You can also find it at gardening supplies stores or pet fish stores. 1) Fill your bath tub with hot water. Add 3-4 cups of Epsom salt. Stir around until the salts are dissolved. Soak for about 20-30 minutes. Do this everyday for a few weeks to see effect. 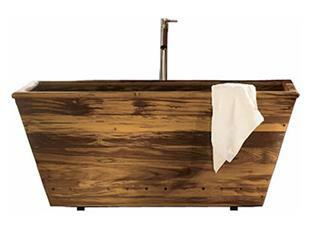 2) If you don’t have a tub/just don’t have the time to soak, you can simply do it on a smaller scale. Add a spoonful of epsom salt to a little warm water in a cup. Stir until the salts are dissolves. Pat this mixture onto your face or other areas of your body. Wait until dry and wash off with warm water. Why it helps: Epsom salt (magnesium sulfate) helps to expel toxins and heavy metals out of your body. Magnesium sulfate is easily absorbed through skin and is a natural sedative. This is why Epsom salt baths are known to be very soothing and calming to the nerves. will epsom salt help relieve hemorroids? I remember that it was one thing they recommended for treating hemorrhoids after having a baby – I think it’s supposed to help shrink them faster. For the hemorrhoids, you don’t have to soak in a tub. You could just use a sitz bath. Do you recommend a limit on the number of baths one should take in a given day/week/month? Is there an upper limit of absorbing too much Epsom salt? I wish I could take more baths as this always sounds so soothing! When all else fails drink warm prune juice. It helps within 30 after having a baby. The nurses at the hospital recommended it.